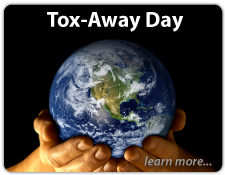 Our third Tox-Away Day for 2019 will be held at Hickory Elementary School in Avon, (907 Avon Avenue) from 8am to 1pm. Please enter the event from Avon Avenue. Our fourth Tox-Away Day for 2019 will be held at the Hendricks County Fairgrounds in Danville (1900 East Main Street ) from 8am to 1pm. Please enter the event from Main Street. 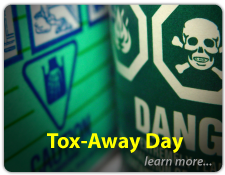 Our fifth Tox-Away Day of 2019 will be held at Plainfield Middle School, 985 South Longfellow Drive, Plainfield, IN 46168, on October 20, from 8am to 1pm.